As one of the newest vehicles to enter the full-size cargo van segment in America, the spacious and versatile 2015 Dodge RAM ProMaster is quickly becoming a favorite in the full-size van class. The ProMaster is ideal for transporting cargo or passengers, as it’s available in both Cargo and Window Van models. Once inside this spacious van, you’ll certainly appreciate the interior, both for its sheer cargo capacity for the comfort and refinement often missing from this class of vehicle. If you live near Savannah and Baxley, GA and want to learn more about the full lineup of Ram ProMaster vans, visit Woody Folsom Ram in Baxley. 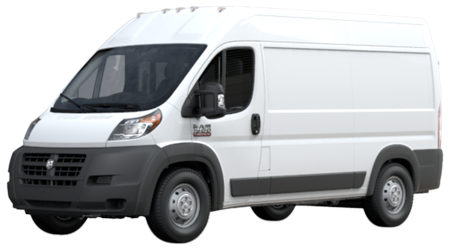 Our knowledgeable team of sales professionals will help you configure a 2015 Ram ProMaster van for your business or transport needs. How does the 2015 Ram ProMaster Van compare to the Ford Transit? Behind the front seats of the Ram ProMaster Van you’ll find up to 406 cubic feet of cargo capacity, when equipped with High Roof option. 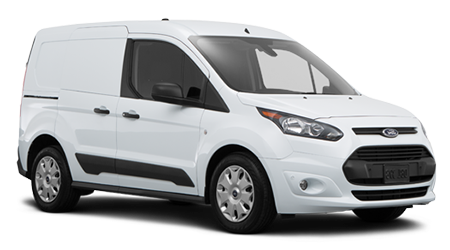 The Ford Transit starts out with 285 cu ft of cargo space in the standard model. To reach a comparable maximum cargo capacity of the Ram, you’d have to remove the front passenger seat from the high roof Ford Transit model, which sounds like a real pain. One of the most unique features of the ProMaster is the rear doors which open up extra wide to 260 degrees, almost folding flat against the side of the van. The extra door clearance allows for a standard pallet to be easily loaded and unloaded out the rear. With a starting price of $27,040, the Ram ProMaster can be had for nearly $4,000 less than the Ford Transit’s basic model, which is priced at $30,960. You can save money on operating costs with the Ram’s available 3.0 liter EcoDiesel engine; it’s fuel-efficiency and suggested 18,500 mile oil change interval can save you some serious coin over the life of ownership! The Ram ProMaster is a real value, with an impressive list of available features like a backup camera and 5-inch Uconnect touchscreen display -- not to mention the 260-degree opening rear doors and award-winning 3.6 liter Pentastar V6 that both come standard. The 3.6 liter Pentastar V6 in the 2015 Ram ProMaster provides the best-in-class standard V6 power, producing 280 horsepower. The powerful V6 engine’s durability means you’ll have piece of mind for many thousands of miles, and the 10,000 miles oil change interval helps keep your maintenance costs low. If cargo capacity, max payload, fuel economy, and power matter to you when choosing your next cargo van, be sure to test drive the 2015 Ram ProMaster.